My discomforts with zoos and museums are closely related. The cognitive dissonance between my academic curiosity, my desire to see every aspect of the world I can, and my activist/feminist/anthropological desire not to take bits and pieces of people’s cultures or animal’s lives. I will start with museums. For some things, such as Van Gogh’s paintings, in have no qualms about museums. Many artists would be ecstatic to have their pieces in the Smithsonian or some other show case. I am sure there are some who would not like it, but I am willing to bet that there are few. My real issue starts with the every day items: people’s bowls, jewelry, and tools. A culture cannot be truly understood via these random artifacts so totally out of context. For most of these items, what is the point of even seeing them? Look at that fork…it is almost the same as the fork I have in my lunch for my fruit cup. People may think they learn something about the culture, but they are far more likely to learn something worthwhile from an actual ethnography. Museums can, however, raise the awareness of the similarities and differences between people worldwide, which can be invaluable. 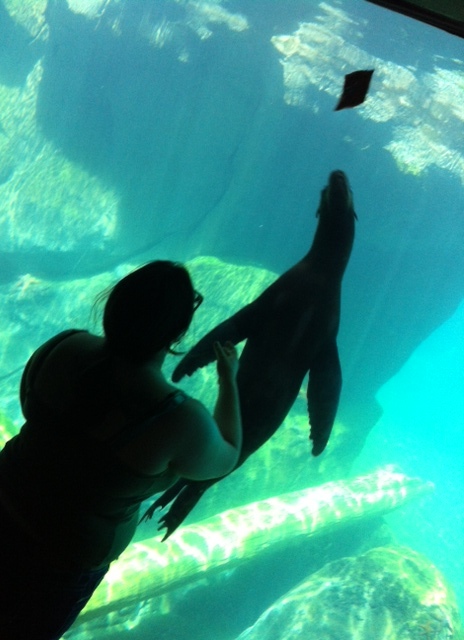 Me playing with my sea lion buddy! And then there are the religious items. Or, even more disturbing in my opinion, the items meant for the afterlife. I am extremely uncomfortable with things like mummies and canopic jars. How would you feel if you extremely elaborate and meaningful eternal rest was disturbed so you and your coffin could be put on display? What would these individuals have thought of this treatment? I am not of the opinion that my anthropological duty to observe and participate without attempting to influence my subjects ends at death. Also ghosts. Just saying. My feelings with zoos are similar. I love animals. I love being able to see them up close and I got to play with a sea lion through the glass yesterday. That was like a dream one true! I also realize that animals’ lives outside of captivity are not exactly happy. There is a lot of fear, hunger, and sickness. But they are not stuck in tiny boxes. I live a privileged, so I may not have the right perspective to know, but I am not so sure that this is a deal I would make. 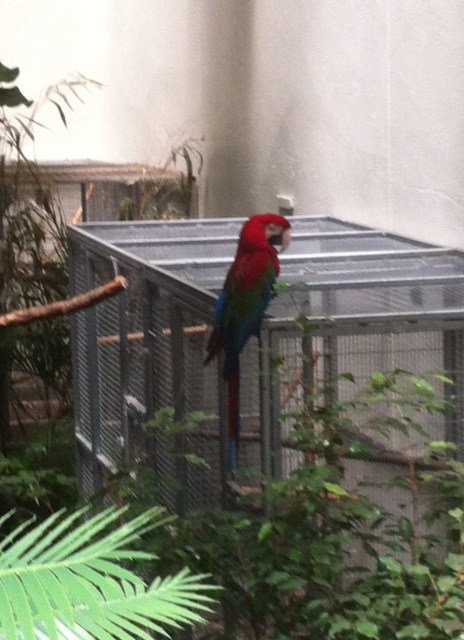 To paraphrase my boyfriend, zoos are prisons with plants and waterfalls. As always, let me know what you think! This is an issue I would really like to discuss. This entry was posted in Opinion and tagged animals, mummies, Museum, prison, theft, zoo. Bookmark the permalink.